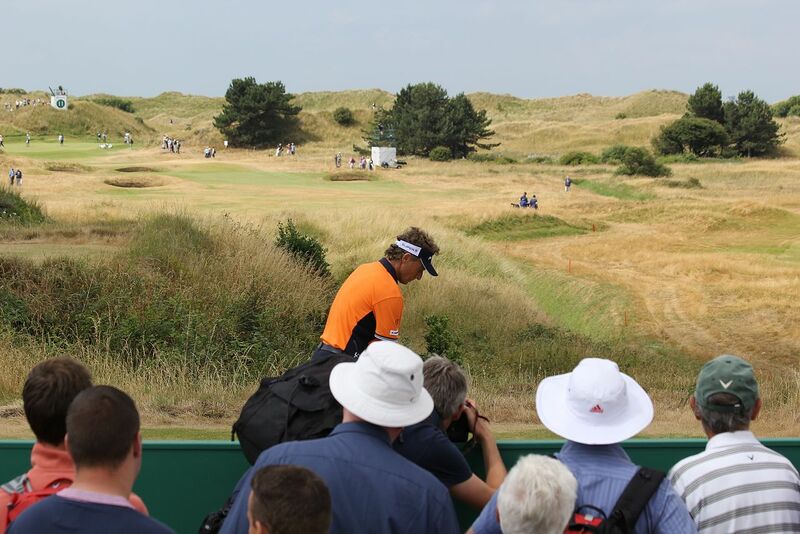 The 2017 British Open golf major tournament on the PGA Tour is taking place this week from July 20-23, 2017, at the Royal Birkdale Golf Club located in Southport, England. Here is a list of the playing field of top PGA golfers for the 2017 British Open. Those are all of the top 10 ranked players in the world. Eligible golfers not in the playing field for the 2017 British Open are Tiger Woods, Nick Price, Justin Leonard, Nick Faldo, Mark Calcavecchia, Ben Curtis and Ian-Baker Finch who all previously won this golf major. Curtis Luck from Australia was eligible to play as an amateur but he lost the eligibility when he turned pro in April. All other eligible golfers are in the playing field including the following. Previous winners of the British Open not listed above in the playing field this week include Zach Johnson (2015), Phil Mickelson (2013), Ernie Els (2002, 2012), Darren Clarke (2011), Louis Oosthuizen (2010), Stewart Cink (2009), Padraig Harrington (2007, 2008), Todd Hamilton (2004), David Duval (2003), Paul Lowrie (1999), Mark O'Meara (1998), Tom Lehman (1996), John Daly (1995) and Sandy Lyle (1985). Golf major winners in the playing field not already included above are Justin Rose, Charl Schwartzel, Adam Scott, Jimmy Walker, Bubba Watson, Danny Willett, Martin Kaymer and Jason Dufner. The only notable golfer who played his way into the 2017 British Open playing field in a pure qualifying event is Ian Poulter at Woburn. Poulter has 12 European Tour wins plus two PGA wins and a stellar Ryder Cup record. His best finish in the British Open is 2nd place in 2008.